A few weeks ago my friends at Maple Holistics sent over their Tea Tree Oil Shampoo for me to try out. I have been using it ever since and have noticed that my hair is looking better than ever. There are a number of therapeutic benefits in natural tea tree oil, including the improvement of hair and scalp health while promoting hair growth and even slowing hair loss. Healthy hair starts with a healthy scalp! This Tea Tree Oil Shampoo is cruelty-free, parabens-free, GMO-free, gluten free and made in the USA. It also smells amazing! What exactly is tea tree oil? 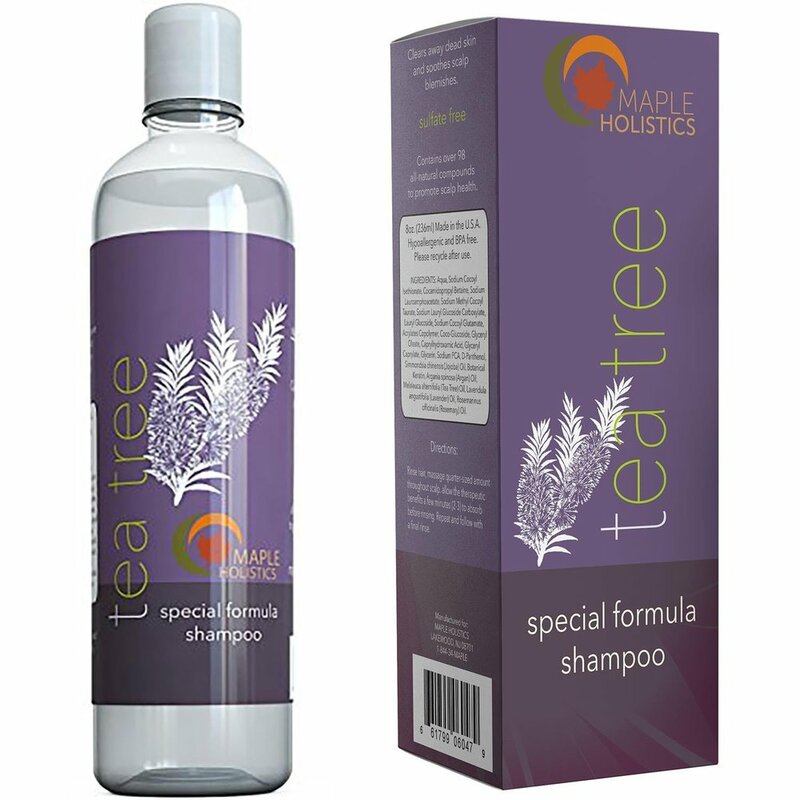 Tea tree is a shrub grown in Australia that is extracted through steam distillation for pure results. This shampoo has rosemary and lavender oil in it which not only gives it a delightful scent, but rosemary oil stimulates cell renewal of hair follicles and lavender oil keeps the scalp healthy and blemish free. Maple Holistics also has an amazing free samples program that is definitely worth checking out. Just follow the link and fill out the form. What is your favorite Maple Holistics product?